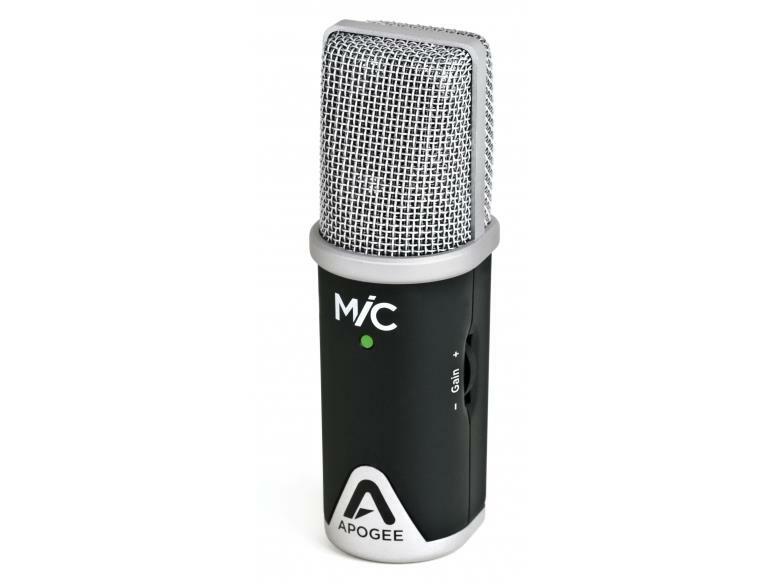 The Apogee MiC 96k for Mac and Windows is a portable USB microphone that produces high-quality audio recordings whether used in a studio scenario or on the move. 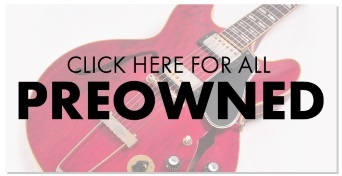 Its light-weight and durability have made the MiC 96k the favoured choice among countless professional and amateur musicians. 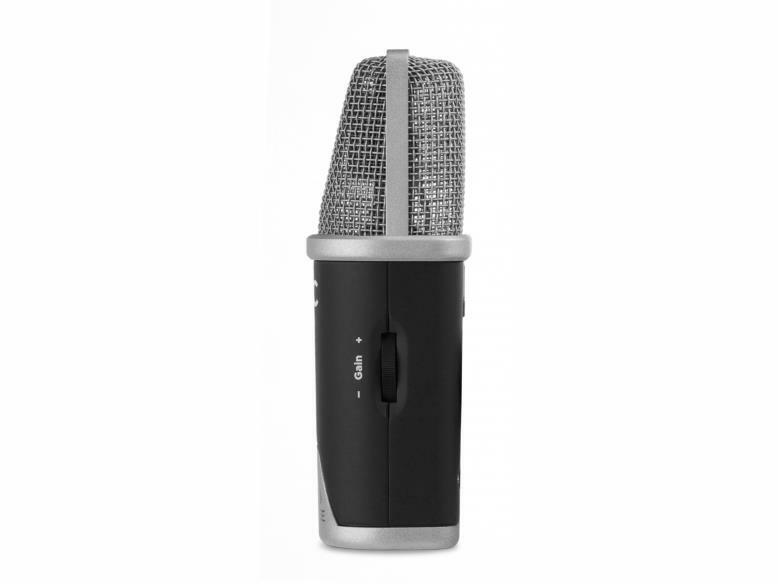 The MiC 96k can be used effectively for a range of recording applications thanks to its internal cardioid polar pattern and 40dB of preamp gain. 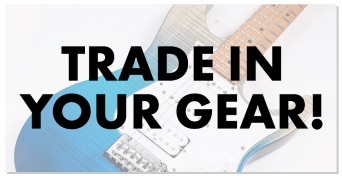 Capture the warmth of a close proximity voiceover track or the rich dynamics of a live guitar performance with crystal-clear studio-grade audio. The guts of the MiC 96k feature Apogee's signature PureDIGITAL analogue-to-digital converter technology capable of achieving superb quality 24-bit/96kHz audio with ease. With the MiC 96k you can guarantee your final recording will be the best possible digital reproduction available and always good enough to use for your project. The integrated gain control knob and 3-colour signal status LED allows you to manually adjust with precision your input signal and monitor the result, ensuring that your recording stays clear of distortion and other negative proximity and velocity effects. The Apogee MiC 96k's all metal die-cast zinc body is incredibly solid, once out the box we were impressed by just how tough this mic looks and feels, the mic, however, remains light-weight (1.15lb) and therefore is an ideal choice for the traveling musician as a companion on the road as well as in a studio environment. Is the plug-and-record element of this mic as simple as it sounds? Yes it really is, so long as you have recording software on your computer, it is as easy as plugging the mic into your USB input via the included cable and assigning the device. Can I use this mic with my iOS device? 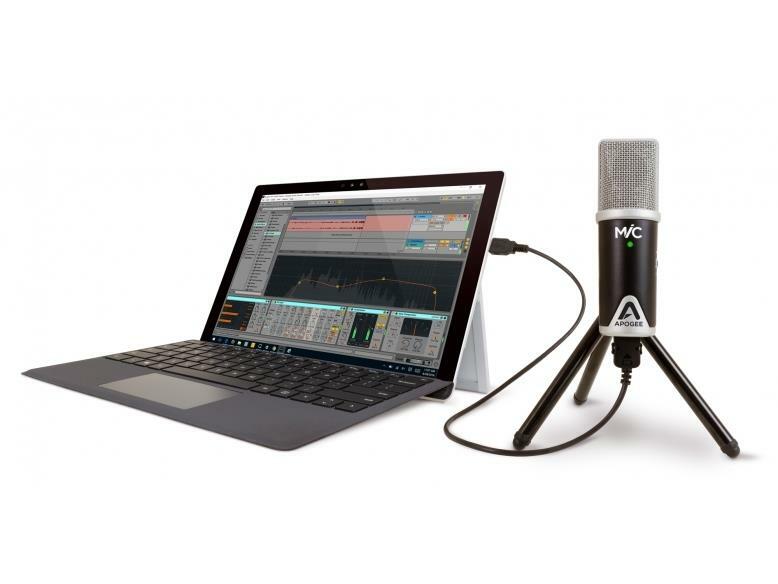 It is possible to use the MiC 96K for Mac and Windows with an iOS device via a lightning cable (sold separately). You can also take a look at the Apogee 96k for iPad, iPhone and Mac that includes an additional lightning cable and desktop tripod stand. Is the MiC 96k compatible with my DAW? The MiC 96k works seamlessly with almost all know DAW's including Ableton Live, Logic Pro, Pro Tools, Audacity, Cubase and many more.